Including more than 10 built-in editors, you can easily edit any class with ComponentOne PropertyGrid™ for WPF, a version of the well-known Microsoft Visual Studio property grid. You can add the PropertyGrid control to your WPF application as part of your design and use it to allow end users to edit properties directly. Add the PropertyGrid control to your page, set one property, and the UI is automatically built for editing objects. Because PropertyGrid for WPF supports ComponentOne ClearStyle™ technology, you can change control brushes without having to override templates. 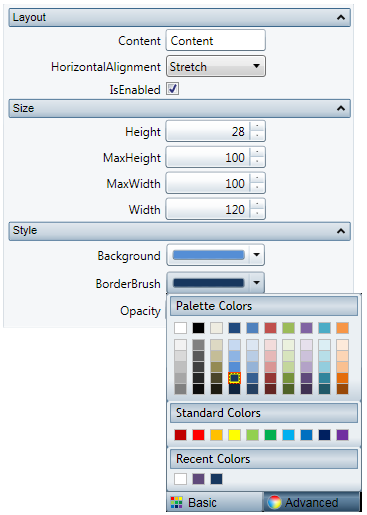 By setting a few brush properties in Visual Studio, you can style each part of the control.